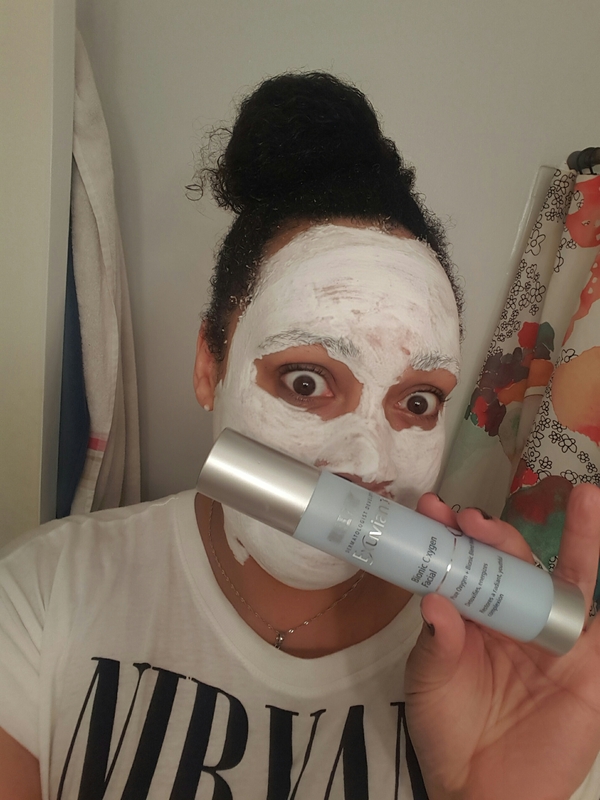 This mask is described as a “Pure Oxygen + Bionic Blend Mask” that detoxifies and energizes whilst restoring radiance and youth to one’s complexion. The scent reminds me of a cantaloupe. The tingling feeling is more like a tickle. Not stinging or irritating at all. The effect is from oxygen; not peroxide like other “bubble” masks. This is suitable for sensitive skin. I tried not to touch it while the “frothy bubbling action” was occurring. It was tough because I am a large child and have no self control. None. This is definitely a fun mask. Yes. Yes it did. 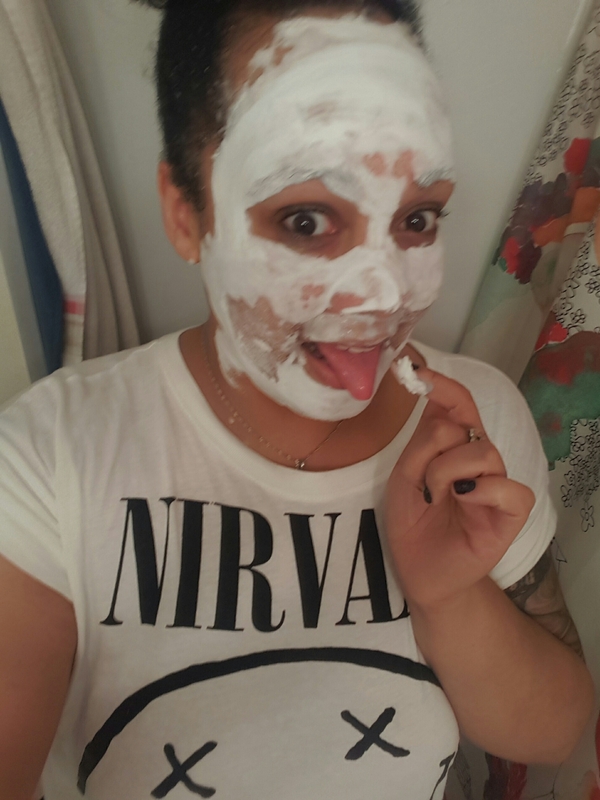 After leaving the mask on for 5 minutes, my skin was so radiant that it left me shocked and staring in the mirror for a solid 15 minutes until my skin chilled out and went back to its normal, but still kind of glowing state. I followed with my Cosrx AHA/BHA Toning mist and Juice Beauty Stem Cellular Anti-Wrinkle Moisturizer. If you’d like to have a laugh check out my Instagram. 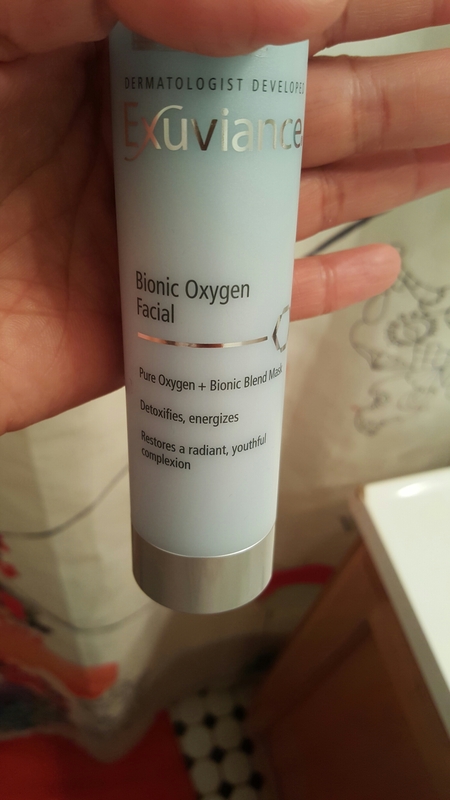 The Exuviance Bionic Oxygen Facial can be found online here or in Ulta stores. It retails for $65.